Lewisham Music regularly runs a two day Rock and Pop School during half term for musicians wanting to develop their guitar, bass, drum, keyboard and vocal skills. 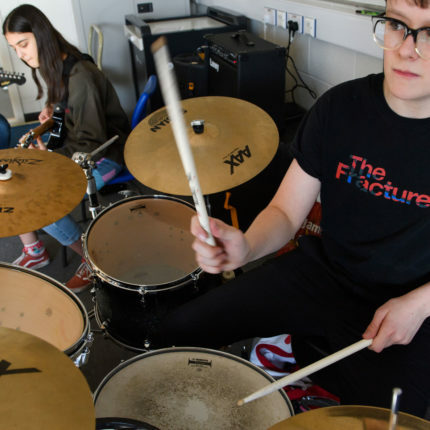 Participants will get an introduction into the world of a working musician as well as gaining experience performing in bands and working with other young musicians. Children in Years 5 to 11 (inclusive). Applications are welcome from singers, guitarists, bass guitarists, keyboard players and kit drummers at Grade 1 standard and above. Please note, there are limited places available for kit drummers. Plans are underway for the next course – please check back soon!